Repeating motifs—sleep, birdwatching, buildings in decay—weave together two distinct storylines in Qiu Sheng’s mysterious, atmospheric debut. In one story, land surveyors investigate a tilting building, while in the other a group of kids searches for their friend who has vanished from school. Though both feature a character named Xiahao, the narratives intersect in ways that only deepen the mystery of what is taking place and when. 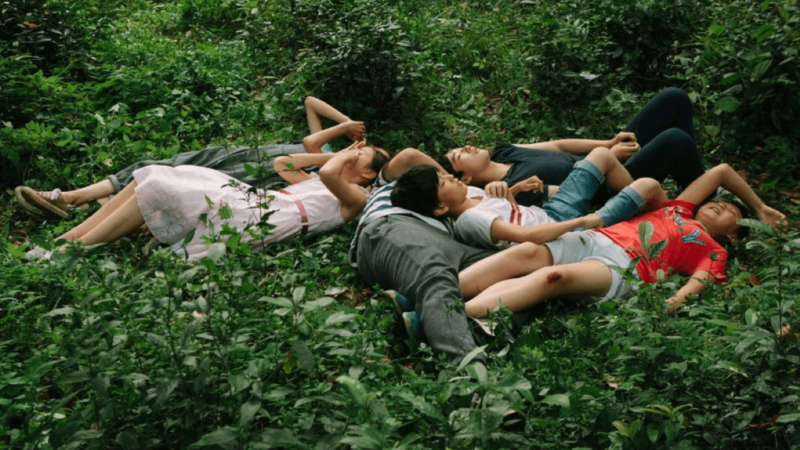 With nods to the work of Hong Sang-soo and Apichatpong Weerasethakul, Suburban Birds crafts a tale where the past seems to literally invade the present. Qiu Sheng wrote a TV movie, 0.36 Seconds (2012), and wrote and directed three shorts Winterstare (2014), Golfville (2016), and Distant Thunder (2016) before making his feature writing/directing debut with Suburban Birds.